When owning a business, it is imperative to take note of each component of the company. An experienced business professional sees the need to break down the elements of his or her company and determine the value of each factor by measuring the cost and each factor’s importance to the main process of the company. This process is called a value analysis and it is an important way to keep an eye on the how a business is improving or failing. You can keep track of this with a present value analysis calculator. Download the present value analysis calculator for free here today! Completing a value analysis for a business can also be an especially daunting process, especially for a large company. This is why using a present value analysis calculator is needed. A present value analysis calculator can be used to eliminating unnecessary costs. This is because it can break down a service in order to evaluate each component on its own to evaluate its efficiency. The template is available for free on this page. 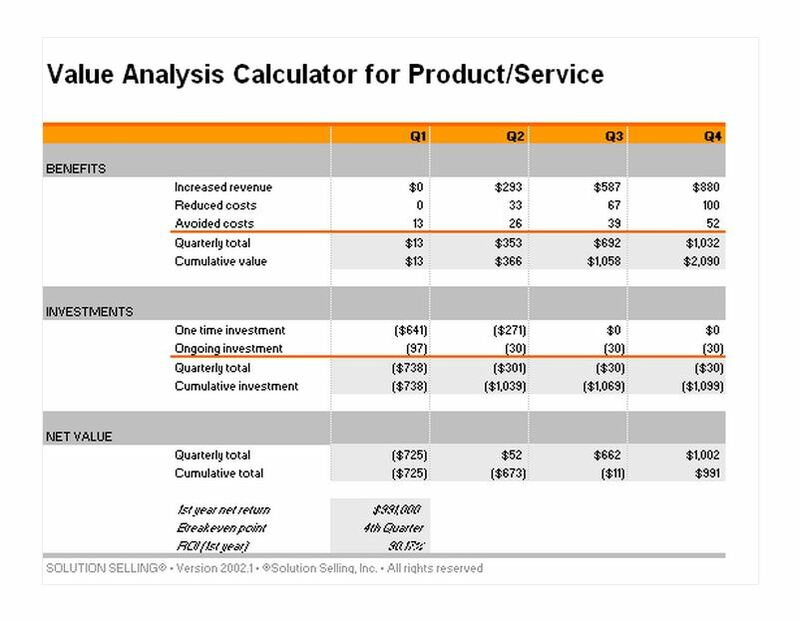 The present value analysis calculator template is customizable to fit the needs of your own business. Despite the complexity of a value analysis, the present value analysis calculator is easy to use and easy to download, right here, from this site. The template also has a numerous amount of complicated formulas already imputed into the template to aid in the assessment of your personal business. Financial formulas are available to use on the template. For example, using the template, you can create a running balance to see keep a record of items purchased for the business so that the spending limits of the company are not exceeded. Values can be entered into each cell and the values can be added up instantly as new values are entered. The template is easy to use but needed to improve in the production of any business.